Is a village ban a fair decision? 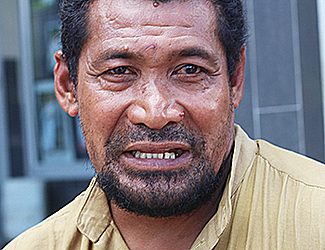 Ilia L Likou asked people what they thought of the decision by Siumu and Salelologa villages to ban foreign-owned businesses from their customary land. Read their views in today’s Street Talk. I think Salelologa and Siumu have made the right decision. You know when we talk about these Chinese businesses, then we think of cheap prices and we can easily live on that stuff every day, but we need to think of the long term. Look at our people! We hardly have any local businesses in the country but the only place we mostly see our people is on the road selling barbeque. The ban by these villages makes me feel good now. It reminds us of what many other countries are facing now because of the ‘go with the flow’ of foreigners in their country. We must remember that the only fish that goes with the flow is the dead one. I think the government should do something. If we’re allowing these businesses in Samoa then we have to look at where they are going to be based, not giving them the freedom to come to Samoa and then be able to do whatever they want on our lands. I think this is the right time for us to set things straight with these foreign businesses. I heard that some people say that they’re helping us in terms of employment but they’re not. They mostly employ their own people rather than us and take back their money to their own country. Thanks to Salelologa and Siumu for these decisions. We need to look at the future of our children. This is also a wake up call to other villages. Just let them use government land not customary lands. If we get it wrong today, then our children will end up staying on the road for the next twenty years.